An annual vision exam is now mandatory in order to renew your contact lens prescription. We prescribe the healthiest, most convenient contact lenses available in today’s marketplace. Some of these lenses can deliver up to 6 times more oxygen to your cornea than traditional soft contact lenses. This provides superior comfort, extended wearing time, reduced potential of complications and better long-term results. There are daily disposable lenses that eliminate the need for lens care; lenses for astigmatism; bifocal lenses; lenses to change your eye color; lenses you can wear for up to 30 days continuously. Take a look at the contact lens information below for a more detailed explanation of the various types of contact lenses avaliable, then ask the doctor which type of lens is best for you. Wake up and see comfortably – whenever, wherever. Do you work long hours or have a non-stop schedule? Ever get so worn out that you fall asleep in your contact lenses – even for one night? 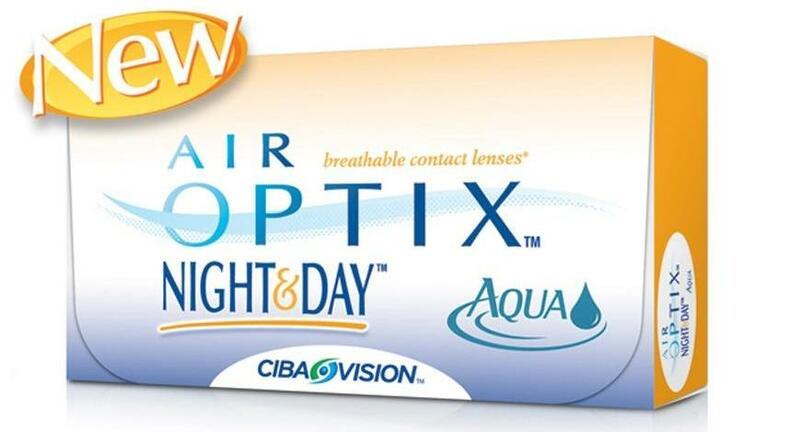 If you’re a student, a new mom, a business traveler or just have a busy life that keeps you on the go day in and day out, AIR OPTIX NIGHT™ & DAY AQUA™ contact lenses may be right for you. Designed for napping and sleeping-FDA approved for up to 30 nights of continuous wear. The innovative Aqua Moisture System for comfort on contact, all day, everyday, even overnight. The most oxygen through the lens of any available soft lens. See how natural they feel! 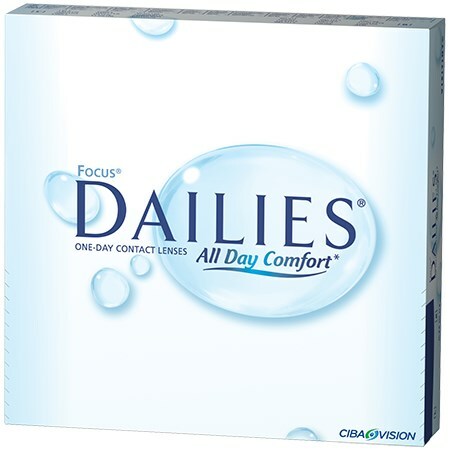 Millions of people rely on Focus® DAILIES® daily disposable contact lenses for renewed comfort each new day. Now, that comfort can last throughout the day with Focus® DAILIES® with AquaRelease*. The AquaRelease moisturizing agent is released gradually as the day wears on – a little bit each time with every blink. That means time-release comfort. And even better end-of-day comfort than original Focus® DAILIES®**. It’s ideal for people who are new to contact lenses. Like teens who are active in sports. Or anyone, for that matter, whose glasses just seem to get in the way of their busy lifestyle. Focus® DAILIES® lenses are also available for those who have astigmatism or need bifocal lenses. Also, Focus® DAILIES® now include a light blue tint for ease of handling and insertion (yet so faint that it won’t change the color of your eyes). Ask your Dr. Wilson about Focus® DAILIES® contact lenses with AquaRelease. Visit dailies.com to learn more about our family of Focus® DAILIES® products. ** CIBA Vision, Data on File 2004. ACUVUE® OASYS™ with HYDRACLEAR™ Plus Brand Contact Lenses are so comfortable you almost feel like you are not wearing contact lenses at all! With ACUVUE® OASYS™ IN, Dry is OUT. Whether you’re inside or outside, challenging environments can make your eyes feel tired and dry. Even long hours in front of a computer can leave your eyes craving moisture. 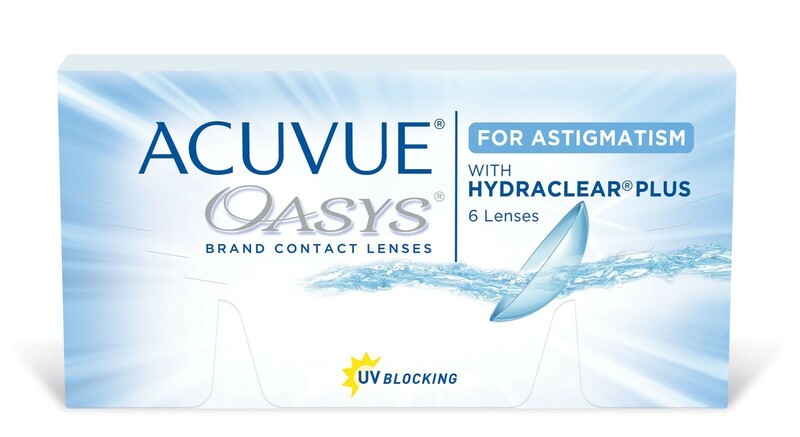 Find relief with ACUVUE® OASYS™ Brand Contact Lenses with HYDRACLEAR™ PLUS.